At ēdn we are on a mission to change the way the world experiences nature. 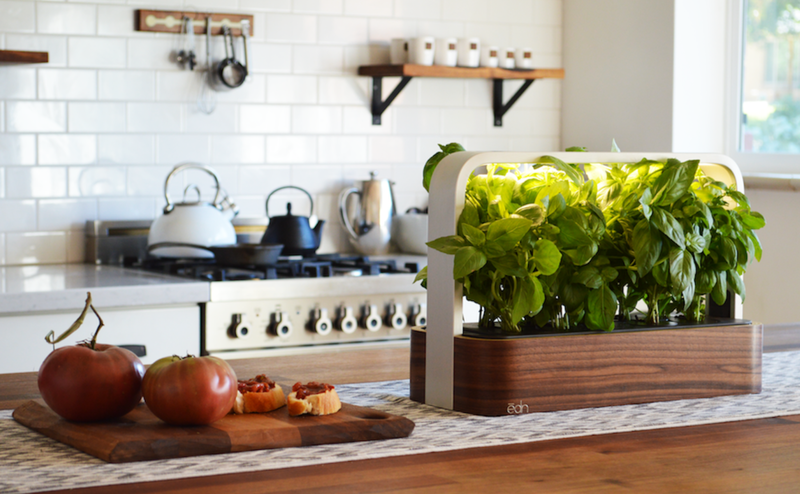 We build products at the confluence of art, nature, and technology - that help users grow fresh herbs, vegetables, and even flowers - right in the comfort of their home, all year around, at the push of a button. We use advanced technology and world-class design to ensure plants are happy and healthy, and you can enjoy the freshest foods possible. Engineer and entrepreneur with a passion for horticulture and nature inspired design. Prior to ēdn, Ryan managed over $35M in commercial and heavy highway construction projects and performed research in the civil and chemical engineering departments at Clemson University. Outside of ēdn, you can find Ryan programming, building robots, running, and snowboarding on the front range. Prior to ēdn, Joseph worked as a supply chain professional at AT&T Inc., responsible for delivery and deployment of over $40M of equipment. At ēdn, Joseph is responsible for all manufacturing, distribution, and general business operations. When he isn’t working, he can be found in nature, hiking up mountains, or skiing down them. Kim is an environmental and business analytics professional with experience in retail and fast-paced consumer environments. At ēdn, she focuses on managing projects such as packaging design, content creation, marketing, and advertising. Kim is passionate about sustainability and nature, and in her free time she can be found scuba diving, snowboarding, or traveling to new places.